After distillation of the fine firing, storage follows. Depending on the fruit, this may take a few months or even several years. 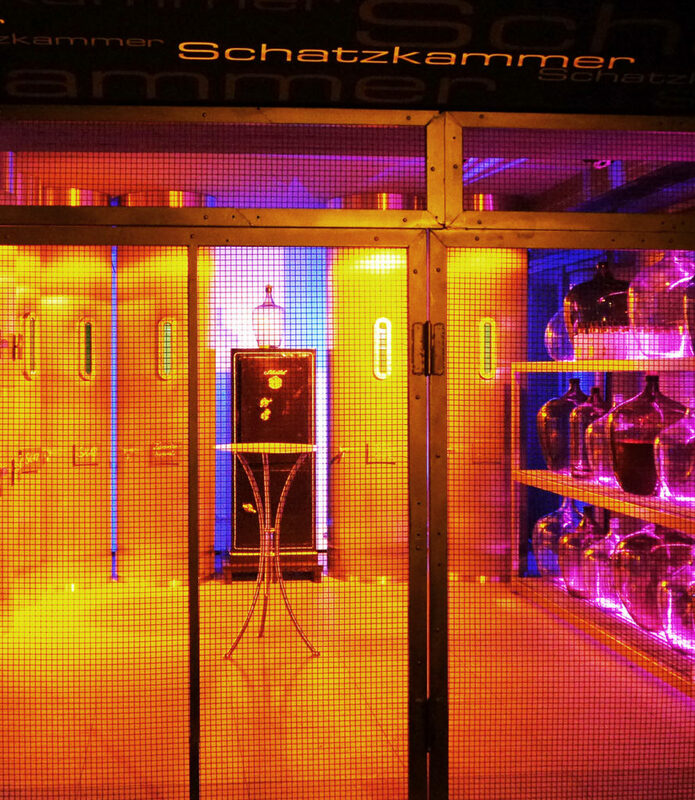 For example, Kirschwasser can be stored for a long time because it does not lose quality and the aromas are preserved. On the contrary, a brandy from Williams Christ pears should not be stored too long, otherwise the flavors will be lost. The fruit gives the burners in which vessel the fire is stored. 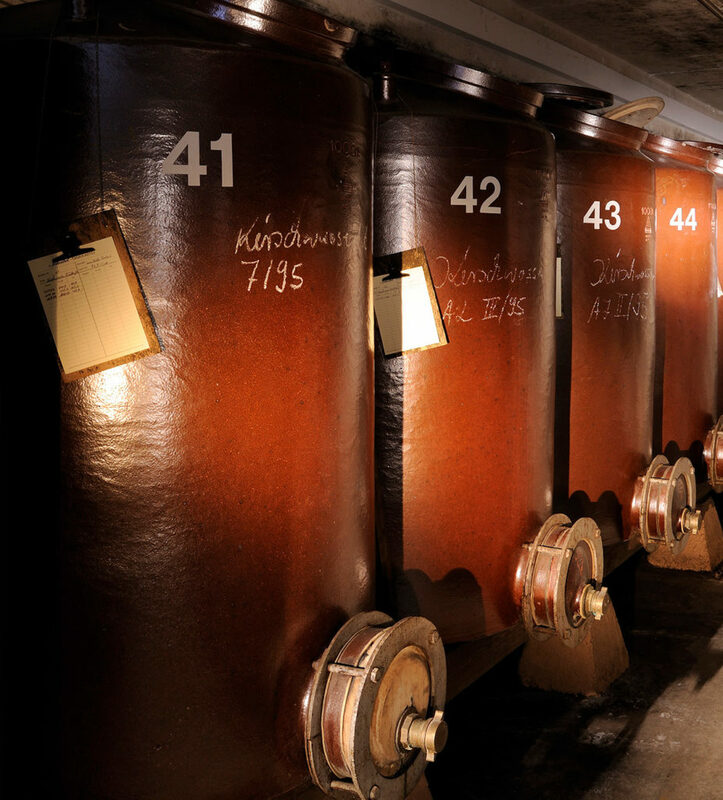 The 60 to 70 years old clay jugs hold ever 1.000 liter, in them only Steinobstbrände are kept. Other fires are stored in stainless steel tanks or small quantities in 50 liter baskets. 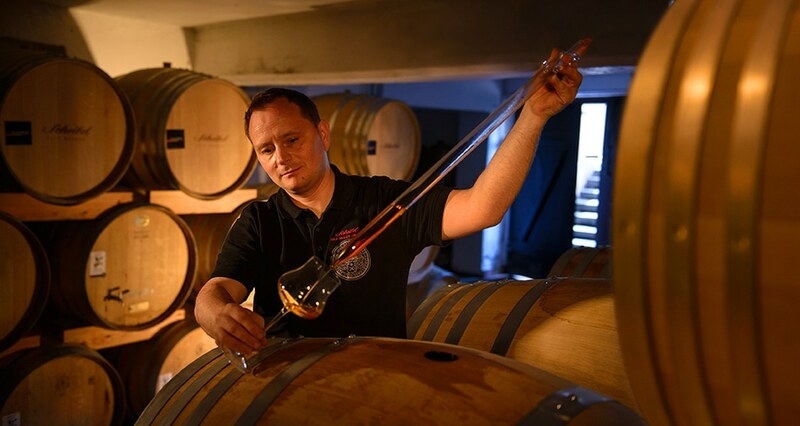 However, only a few products are suitable for maturing in wooden barrels. 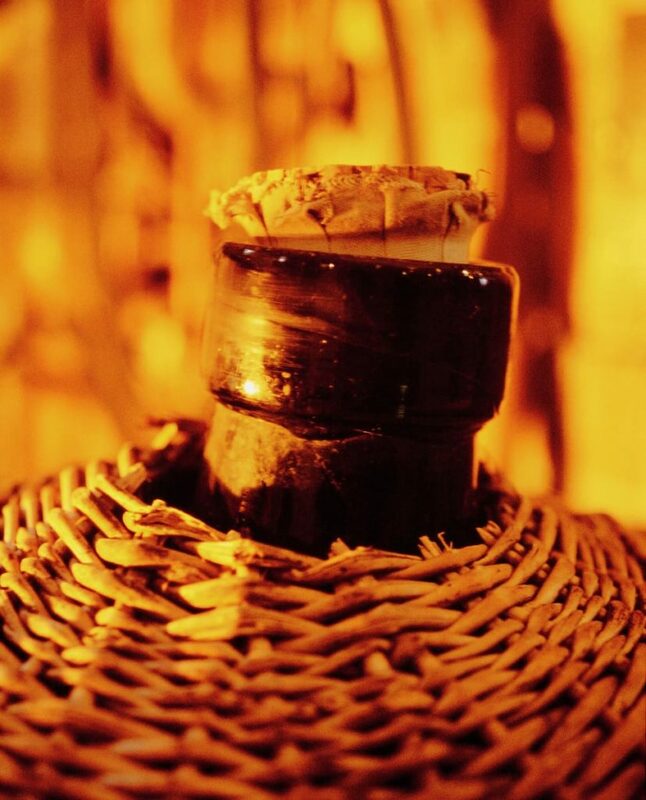 The appropriate fires are stored in oak or acacia barrels and get there their color and structure. The woods come from carefully selected, up to 250 year old trees and are from one cooper specially made for Scheibel. Depending on the degree of toasting - light, medium, heavy and "fire" - different tertiary aromas develop on fire. The toast is set exactly for each fruit. It took years to find the optimal toast for each fruit! The distillates ripen for many months in the new 350 liter barrel, with up to four percent evaporating (fading or "share of angels"). Each barrel is used only once. A special feature of Scheibel is the treasury. Here in an original safe of "Geldschrankwerke Peltz, Dusseldorf" rest very special, vintage fires. Once a year, this equally original and decorative treasury opens. Then Scheibel presents exclusive limited edition products, always for the 1. September.